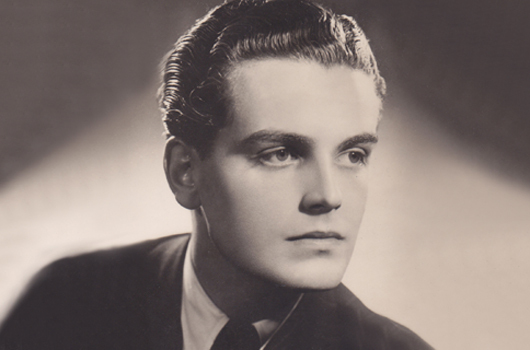 Born on the 19th of June, 1920, David Peel studied at RADA before launching his career as a stage actor. A range of Shakespearean roles rounded his skills while he established his name; at the same time, he worked as a writer and found one of his plays, Landslide, brought to the stage under the direction of Sir John Gielgud. Making his movie debut in 1943’s Squadron Leader X, Peel moved between the big and small screens in a variety of bit parts; an uncredited appearance in 1954’s Beau Brummell brought him into close contact with Peter Cushing, with whom he would later perform again to great effect. His delicately chiselled features gave Peel a quiet charisma that made him the ideal choice as vampire disciple Baron Meinster in The Brides of Dracula (1960). Though his billing as a teenage Dracula was a prime example of publicity spin on Hammer’s part, his boyish good looks and photogenic blond wig made him an altogether different kind of vampire. By turns charming, sinister and savagely violent as the visceral and unpleasant Baron Meinster, Peel replaced Christopher Lee’s acrobatic athleticism with a steely thuggishness. 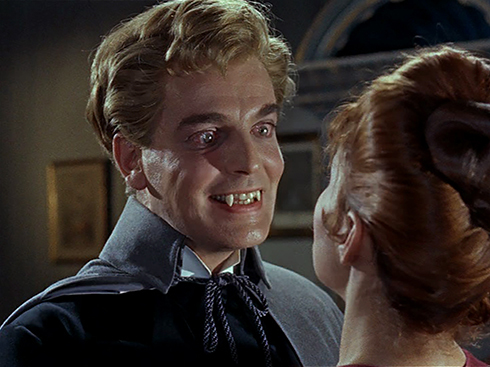 Peel was well liked on the set of The Brides of Dracula, co-star Yvonne Monlaur recalling plenty of laughs. His private life, however, remained enigmatic. Hammer dubbed him a ‘confirmed bachelor’, a paper-thin coded message for a gay man in the public eye, and stories abound of his having brought his pet poodles to the set. After The Brides of Dracula, Peel took a couple of other acting roles before retiring from showbusiness, becoming a successful fine art dealer. 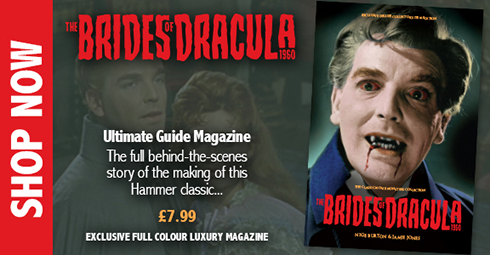 He passed away on the 4th of September, 1981; though his career as a horror star was a brief one, he made an indelible mark on Hammer’s Dracula mythos as one of the most distinctive acolytes of the cult of the vampire. address which was his Art shop and Michael, David’s friend wrote me and told me he had read him my letter and it was his last fan letter before he died. He also sent me a photo of David when he was very young . I still have all of these letters and I cherish them always.